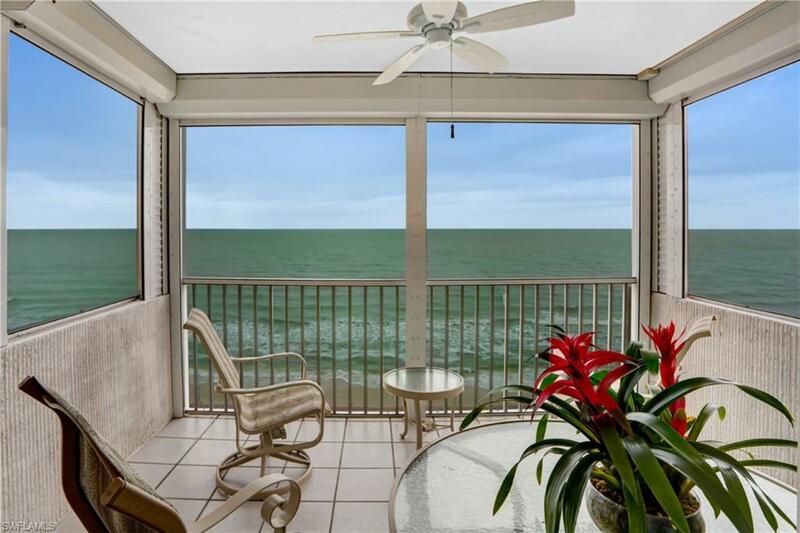 Rarely-available HIGH FLOOR END UNIT with endless Gulf views in the highly desirable Egret on Bonita Beach. Delight in extraordinary natural light from the second balconette & extra kitchen windows, available only in an incredibly rare end unit. 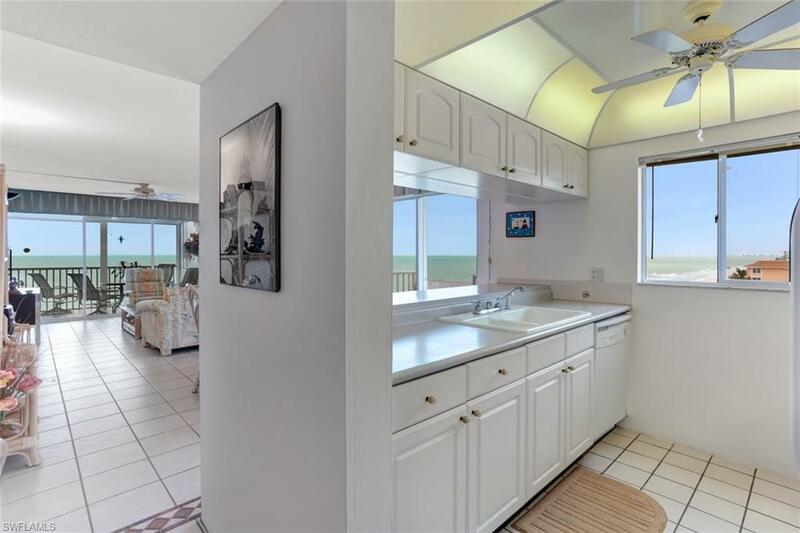 The endless Gulf views wrap around the entire unit for the widest view available on the island. 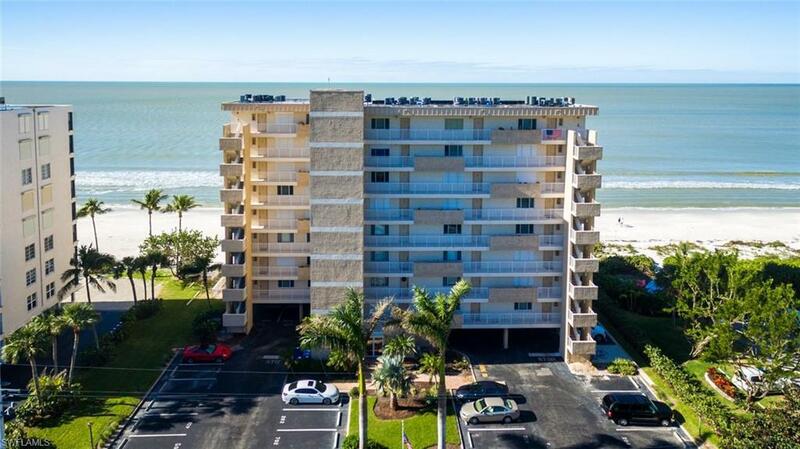 Enjoy the ocean air & sounds of rolling waves from your direct beachfront balcony, with unobstructed high floor views & screens/automatic shutters for your comfort & convenience. This well-maintained & neutral unit is comfortable & move-in-ready or is the perfect canvas to be cosmetically updated to the new owners aesthetic. Includes neutral tile floors, bright kitchen with white shaker cabinetry, updated baths with granite counter tops & more. The Egret boasts lushly-landscaped tropical grounds with a heated beachfront swimming pool, community room with full kitchen & library, barbeque area & more. 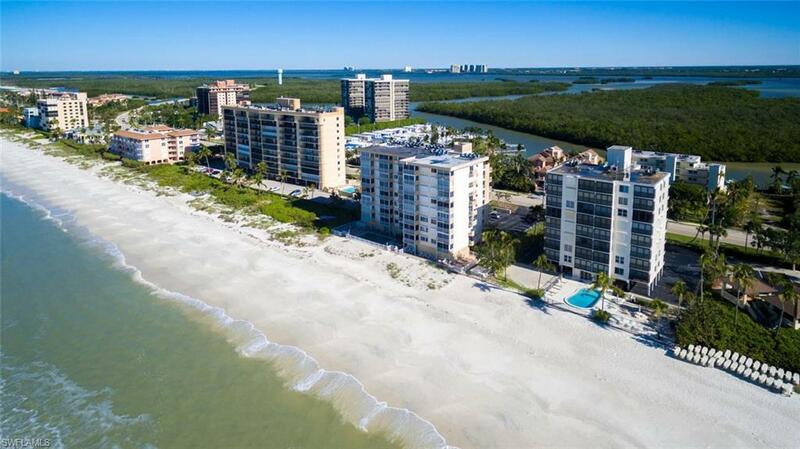 Perfect location in peaceful Bonita Springs, steps to waterfront restaurants & fine shopping/dining at the Promenade, Mercato & Waterside Shops. Perfect vacation home or rental income opportunity.